Rome Specialty Company, Inc. is the parent company of the ROSCO Terminal Tackle, Sampo Swivels & Donnmar brands. These three iconic brands are proudly MADE IN AMERICA with high performance quality materials. With big competition from other swivel manufacturers based in Asia, It is testament to its quality that Sampo swivels are still going strong. 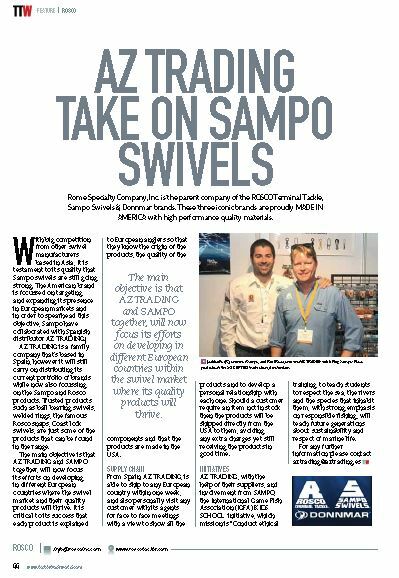 The American brand is focussed on targeting and expanding its presence in European markets and in order to spearhead this objective, Sampo have collaborated with Spanish distributor AZ TRADING.